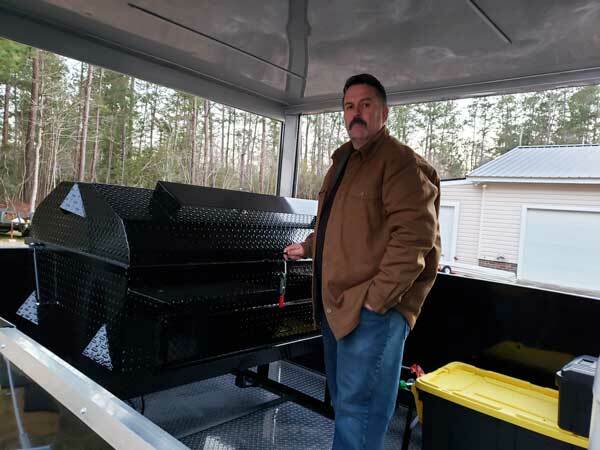 Larry Carter of Carters Carolina BBQ in Conway, South Carolina stands beside his new Carolina Pig Cookers grill which he bought to install in his new trailer. Larry submitted these photos to us. 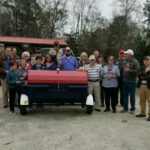 If you’re near the Conway – Myrtle Beach area of South Carolina and looking for some good barbecue, you might want to check this out. 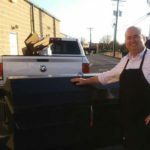 843-254-5119. Nice looking trailer! 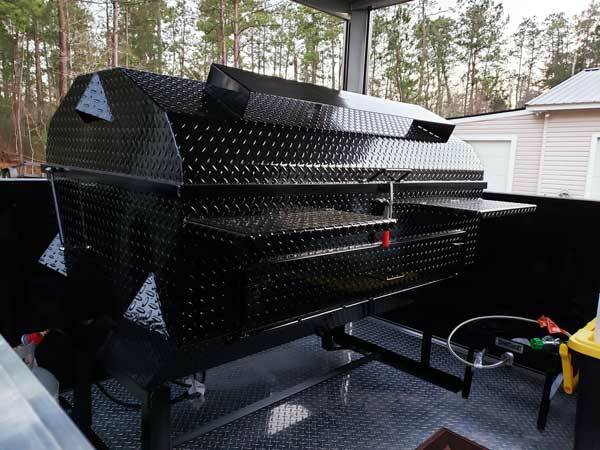 Larry ordered his cooker on legs so he could install it in the trailer. 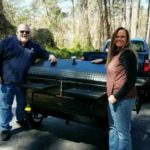 5ft Black cooker, on legs. It was a pleasure to meet you Larry. 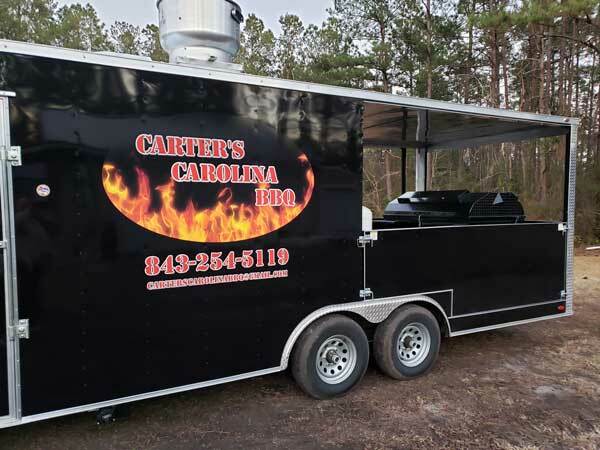 We wish you all the best with your new venture and hope you enjoy your cooker and that new trailer for many years to come. We sincerely appreciate your purchase. Thank you for sharing the photos too.